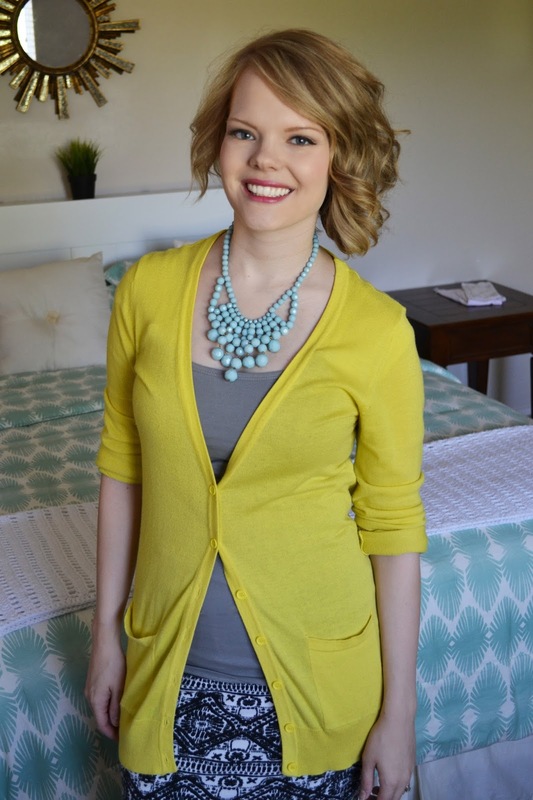 Mom, the Intern: Nursing in public: An Undercover Mama giveaway! Nursing in public: An Undercover Mama giveaway! This post is sponsored by Undercover Mama. All opinions are 100 percent mine. I've always been a bit shy when it comes to revealing skin, so before I had any children, I figured I'd feel most comfortable nursing covered when I was out in public. And for the most part, I did use a nursing cover any time I had to feed my second baby, Carson. I enjoyed the privacy it gave us. Carson didn't seem to mind it, either and even kicked and squirmed excitedly whenever I'd pull it out of my bag. This one time, I was at Bass Pro Shops with a friend and her kids. Carson was probably seven or eight months old at the time. I didn't think he would need to nurse while we were there, but sure enough, he started fussing part-way through the trip. No problem, I thought. I've got my cover and I'll just go sit on that bench behind the big waterfall and feed him. Well, imagine my surprise when I looked into my bag and no cover was to be found! As you know, babies have gotta eat, so I went ahead and nursed him without a cover, right there in Bass Pro Shops with all the huntin', fishin' and campin' dudes. But actually, it wasn't a big deal because it was the middle of the day and hardly anyone shops at Bass Pro during those hours. I was pondering on how nice it was that no one was around and I could nurse comfortably right there in the store when suddenly, a group of about a dozen "tourists" came walking around the waterfall with their cameras to admire the taxidermy, ooohing and ahhing like it was the Eiffel Tower or something. I can't even make this up! I wonder if any of them captured the real-life mama in the wild, feeding her young. They probably didn't even notice what I was doing, but it was hysterical nonetheless. Since that event, I haven't really bothered with a nursing cover. I have found that it's pretty easy to be discreet without using one if you have the right underclothes on, and you can even wear any of your old shirts if you play your cards right. That's why I was so excited when Undercover Mama contacted me about reviewing their nursing camisole. With it, you can make ANY shirt a nursing shirt! The fabric is high quality and the cut is very flattering. The cool thing about it can attach to your bra in two ways: hook or loop. So basically, when your baby is ready to eat, you just lift/open the shirt on top, unhook the camisole and fold it down and then unhook the nursing bra cup as you normally would. Your back and midriff stay totally covered. How nice! Personally, I prefer using the quick and easy loop, but either way works great. Now that I've raved about the Undercover Mama nursing shirt, let's give one away! Use the handy-dandy Rafflecopter widget below to enter. Giveaway ends one week from today at 11:59 PM! All entries will be verified. The chosen winner must be reached within 48 hours or I'll have to pick another one. I want to be able to nurse this new baby, and would LOVE a nursing tank!! I have had to nurse in the bathroom stall, the changing room stall and while my husband drives down the road. When you have 5 kids, you nurse in lots of crazy places! After my son, I exclusively pumped. I've pumped on a tour bus, in the bathroom, on the sidewalk. With my son I had to nurse him during an eye exam...the doctor was really cool about it but it was pretty awkward because of the equipment and I was pretty distracted, and it's why I'm fairly certain my prescription isn't as good as it could be haha. With my daughter the weirdest place was in Disneyland on the Pirate's of the Caribbean ride...she would nurse and fall asleep everytime. I nursed my first in a bathroom once at Applebees. Never again though. I'm not expecting another baby anytime soon, but may give this as a gift! I've never nursed my daughter anywhere crazy. I nurse her when she is hungry wherever we are - the mall, the car, the beach, baseball fields, restaurants, etc. I pumped when I had my son and I have pumped in a moving vehicle. I love these nursing tank tops and would love more! We're about to start trying for baby #2, and I'm definitely hoping to be even more open about nursing this time around! I think I felt more comfortable nursing in public than right up close and personal with my in-laws around! I feel like I've nursed my baby everywhere. Haha. During the group photo at the blogger meetup, for example! Haha. It'd be nice to have a piece of clothing that was a little more nursing friendly. I have always wanted one of these but haven't made the plunge! I'm almost done with this round of nursing, but who doesn't love a giveaway! I once had to pump while my husband was driving. That was difficult. Probably the "craziest" place I've nursed is at a botanical garden, which was also the prettiest place. At the time I didn't have an Undercover tank, so it was uncomfortable for me though. I just wanted to chime in on the ease of use of these shirts! I love mine! And it's actually one step easier than you mention. I never unhook the shirt from my bra. 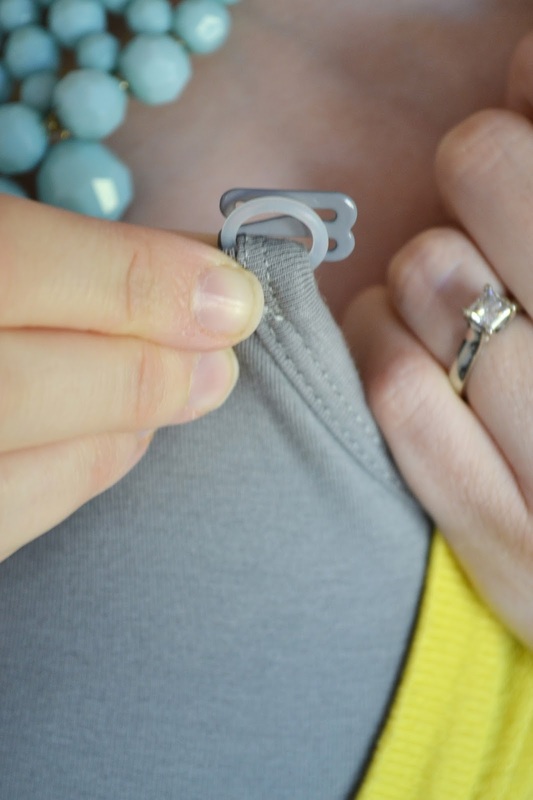 Just undo the bra clasp, and pull the whole thing down. One unhook, one re-hook! I nursed my 6 month old at church...during her baptism! Never nursed anywhere exciting. I was a very self-conscious nurser with my first, and a pumper (bleh) with my second. I thought I had found a quiet bench at Disneyland to nurse my little guy when Goofy walked right next to the bench along with a long line of kids and cameras. Never nurses anywhere too exciting with my first but with the arrivial of #2 coming soon it will be inevitable. love this idea! I have nursed in a canoe! That looks much more convenient than using a regular undershirt like what I have been doing. I haven't had my little girl yet, so I haven't nursed at all, let alone any interesting/weird places yet. But this looks like an awesome thing for a nursing mom to have! Is it totally weird if I enter this giveaway and I'm not a mom yet? Don't answer that ;). A bathroom. Im not good at nursing in uncomfortable situations. I've nursed in the shoe dept at Walmart and a fitting room before. Nothing too unusual. I've nursed just about anywhere, just nowhere really "crazy". I guess the craziest would be at the table at a restaurant. I can't think of a strange place I've nursed - nursing is nursing, right? :) Stores, church, friends' houses, the car if no good seat was available... But once my baby puked all over a furniture display after feeding, at Sam's Club. That was terrible. I nursed my babies several places. I can't really think of any that are really crazy. My comment didn't go thru darn! I had nursed at crazy places but just can't remember though! I nursed 3 babies and is going to with my 4th baby soon so I'm certain I'll nurse at crazy places! We're trying for baby number two would love this. As with the first I only nursed for about a month. Determined this time.